In June 2012 at our "At Home" event we had a competition when we launched the first of our Picture Trails. This idea had come from PALZ (Play and Learning Zone) Visitors of all ages enjoyed looking for the red and white control points. Although the competition is now closed you can still download the trails. 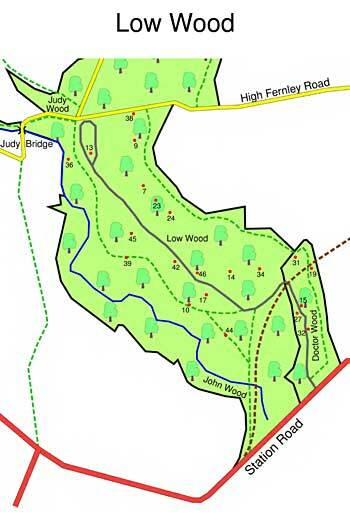 There are three trails Low Wood, Old Hanna Wood and Roydshall Great Wood. Click on the link here or go to the downloads page. The number in the red portion of the control point will correspond to a photograph on the Picture Trail Sheets taken near to the location. You should note the reference letters in the white portion on the answer sheet. We hope you enjoy challenging your family and friends to see who can complete the trail first! Click here if you need to check answers. 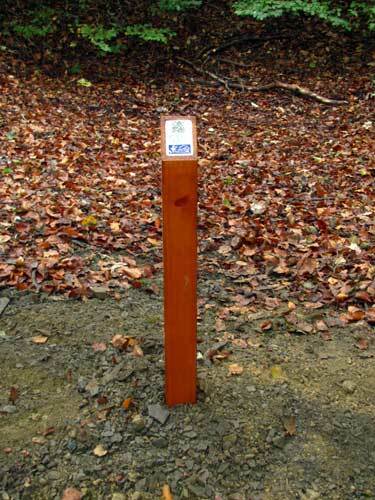 On your way around the woods you may see some posts with QR codes on them. If you have a Smart Phone you will be able to scan these and find out more about each location. You can also go to http://www.james-digs.org.uk/ to access the information.